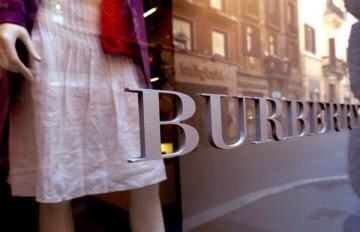 Burberry makes key leadership team appointmentBurberry has announced two new appointments within its leadership team. In November Leanne Wood will take on the newly created role of chief people and corporate affairs officer. Reporting to Burberry chief creative and chief executive officer Christopher Bailey, she will be responsible for Burberry’s corporate affairs and human resources across the world. Joining Burberry from Diageo where she has been group HR director since 2013, Wood’s prior roles at the drinks business include global talent and organisation effectiveness director and HR director for its various businesses in South East Asia, the UK, Ireland and Africa. She has also worked for Allied Domecq and LEK Strategy Consulting. Burberry has also announced that Fumbi Chima will be joining the company in November as chief information officer, reporting to chief operating officer John Smith. The role oversees Burberry’s technology division and will include responsibility for the brand’s upcoming technology platform upgrades including SAP. Chima was previously corporate vice president and chief information officer at Walmart Asia and has also held IT and technology positions at AMEX and JP Morgan. In addition, she has recently been selected as a member of the United Nations Digital taskforce. Posted on October 13, 2015, in #international, #luxury, #retail. Bookmark the permalink. Leave a comment.